While you may think you know all of the differences that exist between mice and rats, they may be far more vast than you realize. In fact, did you know that there are over 1,500 rodent species on the planet? This includes critters like hamsters, gerbils, squirrels, beavers, chinchillas, and yes, you guessed it, mice and rats. These two rodents seem to have made a bigger impression on people than most others. And while they certainly do share some similarities, like their beady black eyes, long tails, and attraction to man-made structures, they definitely have their differences as well. 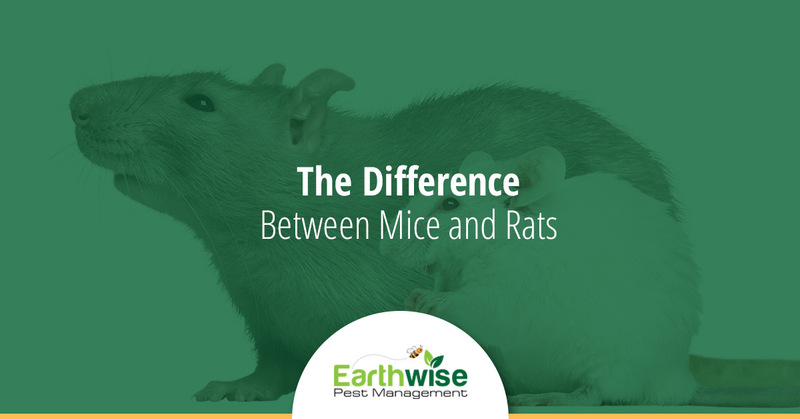 In this post, we are going to focus on what makes these two rodents different and how you can distinguish between having a rat or mouse problem should you suspect there are critters running around in the hidden spots of your home. A full-grown mouse will measure somewhere between 12 and 20 centimeters. On the other hand, a rat can measure twice that long, making these rodents much larger than their mouse counterparts. However, it is important to remember that a full-grown mouse will look a lot like a baby rat and vice versa. This is especially true if you only happen to catch a glimpse of the rodent as it scurries along a wall in your home. As you would expect, because rats are longer than mice, they also will weigh more than them. On average a typical rat will weight somewhere around 8 ounces. Alternatively, a typical mouse will only weight around .7 ounces. Both rats and mice are omnivores, meaning that they eat both plants and animals. Honestly, however, these creatures are not really very picky at all when it comes to what they will eat. Since rats are larger, they do tend to eat a lot more than mice do. Generally, rats will eat things like meats, fish, stored cheeses, and pet food. Mice have a bit of a different appetite and they are most likely to eat things like fruits, vegetables, grains, nuts, and seeds. Another thing mice and rats have in common is that they both have long tails. Rat tails normally measure between 8 and 25 cm, while, the tail of a mouse is likely to only be 5 to 10 cm. The typical lifespan of a female mouse is somewhere between 18 and 30 months. In this amount of time, it is not uncommon for her to birth nearly 300 offspring. These baby mice will begin to reproduce as early as four weeks of age! Clearly, it does not take very long for a mouse problem to become a full-blown infestation. However, this is nothing compared to rats. In one year, just two rats can produce as many as 2,000 offspring. YIKES! Both rats and mice are known to hang out in quite filthy areas like trash cans, sewers, and dumpsters. While they are in these areas, they will eat different materials and pick up a slew of different bacteria. When they then enter your home, they will begin to spread this bacteria all over the floors, counters, cabinets, and more, leaving their droppings as verification. In order to distinguish between different droppings, there are a couple of things you can think about. The first is that rat droppings tend to be larger with more rounded ends. The second if that mouse droppings will have more pointy ends that will measure between 4-7 mm. It’s common knowledge that the majority of rodents can do a fair share of damage by chewing up anything and everything with their enormous incisors. On the other hand, rats are by far the most destructive rodents out there. They have been known to be able to chew through a number of very durable materials such as wire mesh, aluminum, cinder blocks, brick, and concrete. Mice, alternatively, are more likely to ruin your belongings that are being stored in your basement or attic, and chew up wiring in your home…which has been known to lead to house fires in some cases. Either way, neither of these rodents are ideal to have in your home. If you suspect that you may have a mouse or rat problem in your home, we would suggest that you call us at Earthwise Pest Management today! Our team of experts can not only identify which rodent is occupying your home, but we also know how to properly get rid of them, as well as prevent that from returning in the future. Don’t wait another minute to start protecting your Sacramento home and your family from mice and rats. Contact us right now and find out how we can help you!